OSWEGO, NY – The entertainment lineup has been released for the upcoming CNY Great Pumpkin Festival, being held Sept. 29 and 30 in Washington Square Park in Oswego. On Saturday, the registration for the pumpkin weigh-in begins at 9 a.m. in the parking lot adjacent to the County Court building on East Oneida Street. 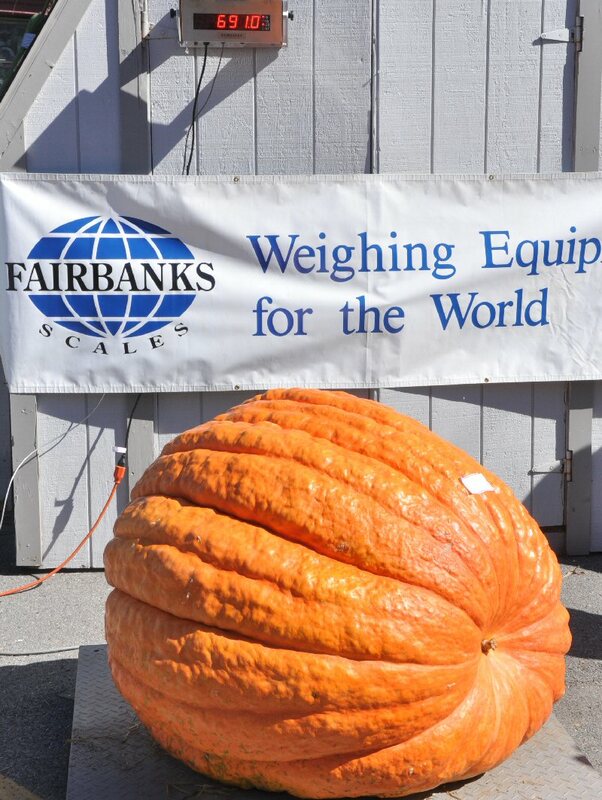 Weighing begins at 10 a.m.
One of the “smaller” pumpkins from a previous CNY Great Pumpkin Fest only tipped the Fairbanks Scale at 691 pounds. Past winners have been well over 1,000. See how heavy the winner is this year on Sept. 29. Bob Riggio, owner of R-R-R Music will be playing music and entertaining the crowds throughout the morning. 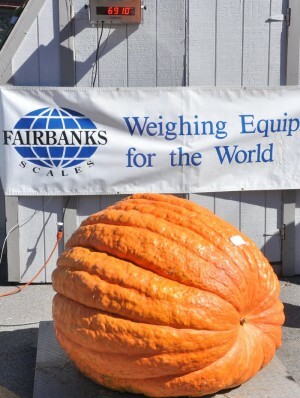 Giant pumpkins will only be on display on Saturday. On the City Stage at 11 a.m., Jimmy D and the Jury will kick off the 21st Pumpkin Fest. Performing from 1:30 – 3:30 p.m. is local talent Gina Holsopple. Rounding out day one’s entertainment will be Central New York favorite The Billionaires, who will play from 4 – 6 p.m.
On Sunday, the Do-Good Swing Band will play from 11 a.m. – 1:30 p.m. They will be followed by Fritz’s Polka Band, adding and Oktoberfest feel to the event. In the parking lot, Leo Pryor’s Taekwondo America students will be holding their fundraising Break-a-thon at 1:30 p.m.
Spectators can witness the discipline and skill of the students as they break boards to raise money for charity. Pumpkin Fest runs 11 a.m. – 6 p.m. on Saturday and 11 a.m. – 5:30 p.m. on Sunday. In addition to the entertainment, there will be rides, games and bounce houses and dozens of crafters and vendors, plus great food, Stoney Meadow Farms pumpkins and fun! Admission is free, courtesy of the following sponsors: Entergy Nuclear, Pathfinder Bank, Constellation Nuclear Group, National Grid, NRG Harbor Power, and Stephen Chirello Advertising.